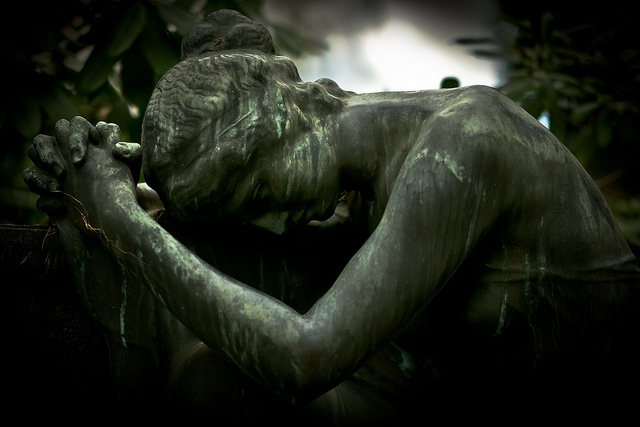 Home » At TMV » Weaponizing Grief: A Counter Argument? Weaponizing Grief: A Counter Argument? Wile the term “weaponizing” has been part of modern military jargon for the past seven decades or so and while ancient armies have used the concept within a military context in one form or another, the Trump administration has raised “weaponizing” as a “narrative” to an art form. In particular, the weaponizing of anger and grief. The most recent example is Trump’s grotesque politicizing of the tragic death of young Mollie Tibbetts, allegedly at the hands of an illegal immigrant, clearly intended to fan anti-immigrant sentiments and emotions. But, should family members of victims who have experienced such tragedies in public “get to control the narrative”? Fox New commentator and Newsweek contributing editor Peter Roff does not think so. • Such events are “meaningful” and “interesting to the public.” Just look at the ratings. Will this bring back Mollie Tibbetts or assuage her family’s grief? No. Nor will it help heal the wounds of any of the other families who have lost loved ones to similar criminals. But it would be a step in the right direction of potentially preventing any more grieving families in the future. However, this does not fit the Trump narrative that weaponizes grief and fear to demonize Democrats and to justify its cruel and un-American immigration policies. Draconian, arbitrary and perhaps absolutist as Roff’s suggestions may be, he at least does not differentiate what country these criminals are from or what the color of their skin is. We must and will continue to write about Trump’s weaponizing of grief because, as Roff notes, such is “meaningful” but, more important, because we cannot let Trump “control the narrative,” a narrative that is so wrong and so despicable.